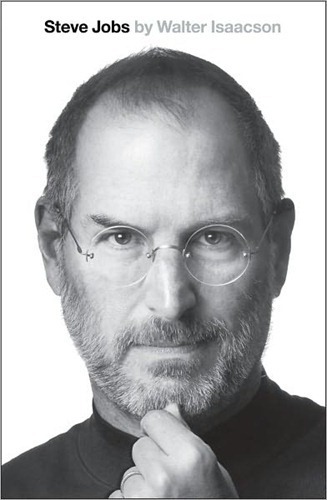 The biography of Steve Jobs was always going to be a popular book even before his death, but since his passing, interest has predictably increased both inside and out of the Apple circles we all move in. While the biography isn’t set to go on sale until October 24th, or Monday for those if you not near a calendar, it appears one London store has already begun selling it to eager punters. The store in question is the Heathrow Airport branch of WH Smiths in London, who appear to have broken the street date for this particularly popular book. 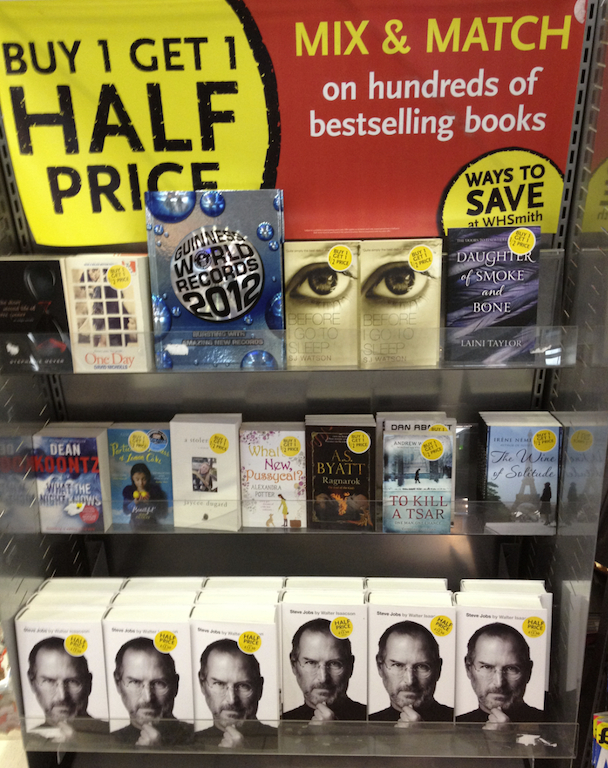 Those of you who happen to be passing through Heathrow on your way to warmer climates can pick up the Steve Jobs biography right now, and as an added bonus, WH Smith have even put the book into their ‘buy one, get one half price’ promotion. What’s the only thing better than picking the Steve Jobs biography up early? Picking it up as part of a bargain, of course! The book, written by renowned biographer Walter Isaacson, covers the life and achievements of Steve Jobs, the former Apple CEO and co-founder, who sadly died this month after a long battle with cancer. The book itself has already seen more than a few release date changes, before WH Smith took it upon themselves to sell the book early. While the Heathrow branch of WH Smith is confirmed to be selling the book early, we don’t yet know if all stores have the book on their selves already. For those of you not buying the book today, the official release will cost $17.88 and can be ordered from our old favorites, Amazon, should you want the paper version. A Kindle release will also be available, too. For your convenience however, just head over to this post which includes everything you need to know about the biography and where to pre-order it from, with relevant links, sounds nifty right? Have you pre-ordered your copy of this no-doubt excellent book, yet? We know we have.